You put a puffy winter coat on your kids on those blustery winter mornings because you want to protect their little bodies from the cold. But all that lofty insulation in their winter coat keeps their car seat from protecting them in a crash. This is a Today Show video of the difference between how well a child crash test dummy is restrained when wearing a puffy coat and when it is not. The test dummy wearing the puffy coat can slip up and out of the coat and car seat almost as if it were unrestrained. The extra space taken up by the bulkiness of the coat does not allow the straps on the car seat to be tightened close enough to the child’s body. 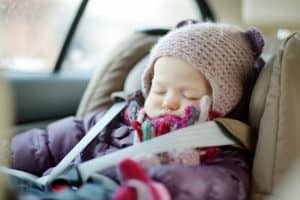 In a crash, that small amount of excess space, coupled with the slipperiness of the coat, allows the child to slip right out of the safety straps. He or she may be subject to the same types of injuries that an unrestrained child might sustain. A 2017 article in Business Insider offers an easy test to see the difference in how your child is being restrained. Put on the bulky coat and strap him or her in to the car seat. Then unstrap your child, but do not adjust the harness. When you put your child back in the car seat with no coat on, test to see how much slack there is in the harness. If there is enough slack to be able to pinch the strap, your child will not be safe wearing that coat in the car seat. When you put bigger kids in their car seats, turn the coat around backwards, so that the back of the coat can serve as a blanket over the top of the harness. Parents understand that there are lots of creative ways to keep your child warm and safe in the car. Car seats are never optional when it comes to keeping your child safe in a moving motor vehicle. The Centers for Disease Control and Prevention (CDC) reports that restraint use saved the lives of 328 children age four-years-old and younger. Car seat use reduces the risk of injury in a car crash by 71-82% for children when compared to seat belt use alone. Remember to never put small children in the front seat because a deploying airbag is strong enough to kill a child in a car crash. 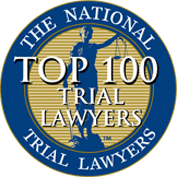 At Wagner & Wagner Attorneys at Law, we offer our skill and experience to you when you have been injured in a car accident. 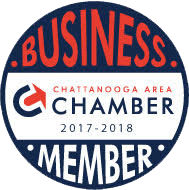 We serve clients in Chattanooga and Cleveland, TN, in North Georgia, and all surrounding counties. 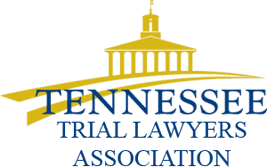 Please call us today at 423-799-3532 or complete our contact form to schedule your free consultation with a dependable Chattanooga car accident lawyer.